The cost to ship care packages is enormous so we really appreciate your support. Please feel free to share our fundraising efforts. Your help is greatly appreciated. Join the team of America's Warriors Care Package Projects © as we raise money to send care packages to our deployed military. 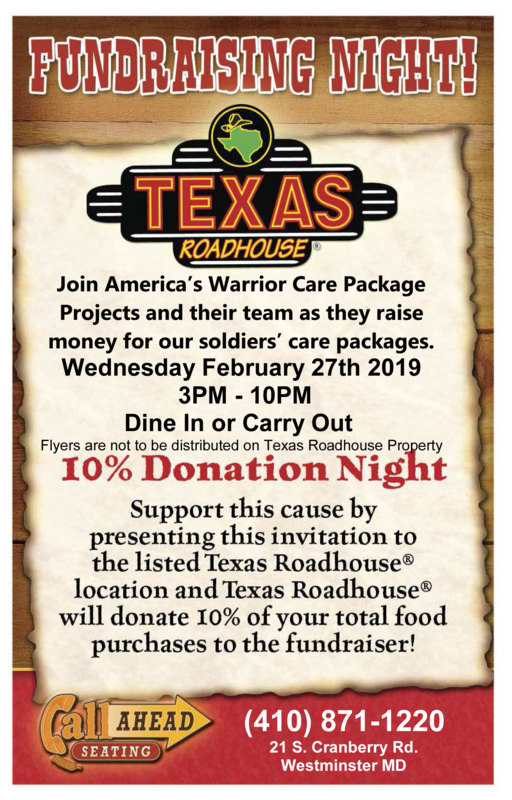 Please present this Fundraiser flyer and Texas Roadhouse ® will donate 10% of your total food purchases to the fundraiser. We will also be having a bake sale table. Please pass the word. Bring your family and friends, enjoy a great meal and some tasty baked goods. 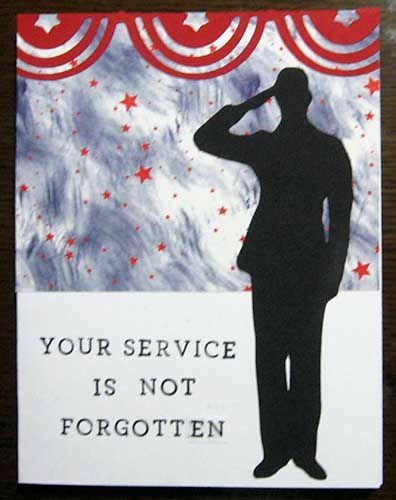 Veterans - Please join us as we support those who are still "over there." Please don't forget to bring the Fundraiser flyer! Thank you for your support.